The first incidence of a machine and human crossing paths was the epic win of Deep Blue, the supercomputer, over grandmaster Garry Kasparovin 1997 in an intense game of chess. The triumph certainly triggered a debatable topic and kickstarted the rise of the machines. In 21st century, Artificial Intelligence (AI) has moved past the celluloid and realms of research, establishing its presence in the real world amid an unparalleled convergence. 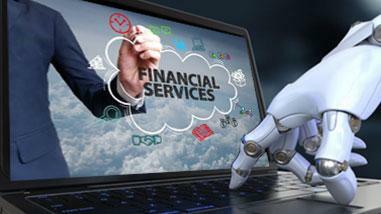 AI has been pivotal in changing the face of the entire financial services, taken by storm. Almost every financial enterprise has embraced the technology for better time keeping, cost effectiveness and value-added services. Use of AI in financial sector has been on a surge yet at an incremental scale. In India nearly 36% of Financial institutions have already invested in AI technology and 70% are reported to do so shortly. Development in high-density parallel processing infrastructure and an extraordinary surge in the bulk and kind of data generated, powered the adoption of Machine Learning and many more cognitive technologies. Fueling this trend is the snowball effect of cloud computing and mobility as well as open sourcing of machine learning (ML) algorithm. Financial institutions have compelling reasons to implement AI. Falling interest rates continue to impact the bottom line, banks are left with minimal options than to boost operational efficiency by minimizing the unscheduled downtime of systems and reducing the resources to meet the evolving demand. Building on the top line through enhanced and tailored targeting of offers and optimization of sales strategy is the key focus area now. Another major driver to leverage AI is the compelling need to comply to the stringent regulations across different areas where the banks operate. Finally, financial institutions are realizing the substantialcapability of enhancing marketing effectiveness and customer service through automation. 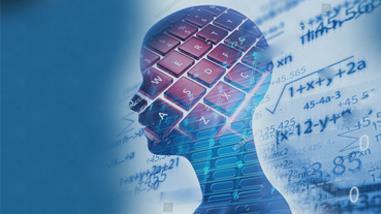 Credit and Insurance Underwriting: The lending and insurance department has rolled out machine learning to process the lending and insurance applications swiftly without incurring extra cost nor compromising on the risk assessment standards. The core message is machine intelligence definitely excels in accuracy, scale and speed as compared to human intelligence while sorting and analysis of colossal bulks of consumer data. For example, banking and insurance sector has already started using self-learning algorithms to pittons of consumer data sets factoring age, job, marital status, credit history, and similar gradients in order to flag the risky profiles of individual applicants based on the generated information. Fraud Detection: Previously, teams of finance experts used to follow a standard conventional checklist of risk factors and some complicated set of guidelines to detect fraud. However, ML-driven fraud discovery system proactively picks the irregularities and flags it for the security people to immediately investigate the matter in depth. The potential of intelligent algorithms to proactively forest all the possible fraud amongst a pile of infinite data sets is quite helpful in reducing false positives, wherein an anomaly is flagged and found out to be a false alarm. Work flow Automation: Bank managers and insurers have already employed natural language process (NLP) to seamlessly automate some of their processes to rationally cap their operational costs and also enhance the customer satisfaction. Chatbots replacing the humans on the customer service interface has gained quite some traction. ‘Yes Robot’ of Yes Bank is a Personal Banking Assistant that helps customer conveniently check balance, recent transactions, send and transfer money, recharge and pay the phone bills, check loan eligibility and many more services. It also helps locate nearest bank ATMs & branches. It can be accessed through the applications and interfaces such as the Facebook Messenger. ICICI Bank’s ‘software robotics’ is a kind of software that automates, regulates and performs tasks of high-density and volume that needs to be carried out over multiple applications while also increasing productivity. It uses facial and voice recognition, NLP, Machine Learning and bots to automate more than 200 business processes. It uses algorithms to sort processes & connects internal applications to external ones such as Aadhar or PAN card verification for KYC compliance. A sequential decision-making method is then used to sort the processes. Asset Management: Termed as “robo-advisors,” like the Betterment and Wealthfront, are globally providing algorithm-based, automated financial planning solutions to their clients, serving them in developing investment portfolios that are aligned to their individual goals and risk tolerance. Back home, FundsIndia.com has a robo-advisory service and looking for partnerships with financial giants. 15% of the company’s overall portfolio comprises robo-advisory services. Similarly, 5nance has an agreement with HDFC Mutual Fund for its robo-advisor. Algorithmic Trading: Hedge funds and many other trading platforms in finance marketing, use complex AI algorithms to transact millions in the stock market every day, day after day. These systems, that are derived from machine learning and deep learning, facilitate “high-frequency trading” (HFT) while scrutinizing vast volumes of market factors in real time. AI has umpteen applications in the finance and insurance environment, positioned to give the entire industry huge facelift in years to come via detection and analysis of brand sentiment; providing investment insights; making banking more efficient and less risky, and identifying fraud proactively. As the rise in technological innovation is breaking the glass ceiling, the finance and insurance sector imperative must be to prioritize their goals and establish long-term strategies. We have been witnessingclear indicators of confident maturity among CIOs as they weigh their investments. Liked our blog, pleaseleave your comments. We value your thoughts to make this section more interesting.